What are some of the best RPG games for PC? Sometimes when the real world is feeling rather dull, we escape into the beautiful world of gaming. However, sometimes not just any game will do. We want to become somebody else, someone great in a fantastical world. Role Playing Games are where the player assumes the role of a character and interacts with the game world through that character, often following a storyline. Then, if that’s what you’re looking for, RPG gaming is for you. Below is a list of some of the best RPG games ever to be played on the PC master race. Get ready for some non-stop immersion. The Legendary White Wolf, back to back with Cirilla. By now, everyone has heard of the Witcher 3 and it’s no surprise why. Polish game development company, CD Projekt Red have truly outdone themselves with this fantastic game. Your goal is to explore the world of Temeria in a deep search to find your adopted daughter, Cirilla and help her defeat the deadly legion of wraiths pursuing her, The Wild Hunt. You will encounter many important characters, each with whole stories of their own. Some will help you, some won’t. Take control of the legendary Witcher, Geralt of Rivia in your search to find your foster daughter, the child of prophecy. Explore the massive world of Temeria, visiting jaw-droppingly stunning real-world scale locations. Use Geralt’s keen witcher senses, magic and superhuman abilities to overcome your foes. This Dark Fantasy RPG is packed to the rafters with detail. Each character carrying their own identity and experiences. Along with the fact that nearly all of your dialogue choices can have positive, or negative impacts on the story. It doesn’t stop there! The choices you make, be it actions like: who you kill, wether or not you help someone, or what you say to people, will have consequences and reactions ranging from immediately evident or 10 hours or more into the game! At least you don’t have to walk. 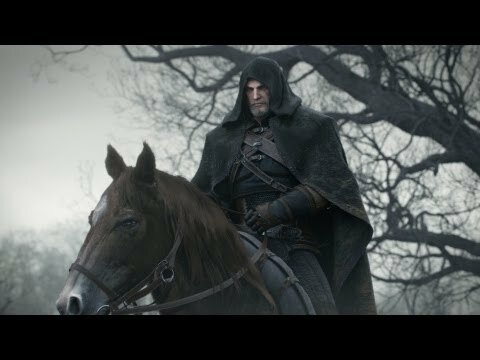 Meet Roach, Geralt’s trusty steed (albeit a bit unintelligent). She will take you anywhere through the land of Temeria. Careful though, going near any monsters will make her panic and buck you off, forcing you to fight. Silly creature. The Witcher 3 map is a staggering 136 square kilometers (That’s excluding all DLC locations, mind you). Luckily there is a fast travel system, allowing you to quickly travel to further corners of the map. The Witcher 3: Wild Hunt has an estimated play time of at least more than 25 hours, ranging to 200 hours. It took The Witcher 3’s most experienced play tester (even armed to the teeth with exclusive knowledge that hadn’t been out yet) and it still took him over 25 hours to finish the story as fast as possible. This means that he ignored side-quests when possible and always aimed to finish the main story. The Side-quests, oh the side-quests. If you thought Skyrim had a lot of side-quests, you need to play The Witcher 3. There are hundreds, if not thousands of quests to do, some are short and can be finished quickly, but others actually have whole long quest chains attached to them, each loaded with as much beautiful story, action and literature as the main storyline. This is certainly very impressive. Don’t forget to shave, or not. The Witcher 3 has an exclusive immersion feature: REAL-TIME BEARD GROWTH. Over the in-game days, weeks and months, Geralts glorious facial hair ages with you, and you have to visit a barber to keep it in check. Well, you don’t HAVE to. The Witcher 3: Wild Hunt is so well made that it’s really no wonder how popular it is. In the first 2 weeks of the games launch, it sold over 4 million copies. The game hadn’t even been released yet! Then the fans got what they paid for and so, so much more. Geralt Facing off against a Gryphon (Gryphon’s taste like chicken, right? In conclusion, I can realistically say that this is one of the best Single player RPGs ever created. Yes, the notorious Dark Souls franchise is back again with yet another brutally beautiful title. It’s your job to take control of The Unkindled and return the five Lords of Cinder to their thrones. It’ll take brutal battles and you’ll have to climb a mountain of corpses to emerge victoriously. So really, don’t die, we all know that Dark Souls won’t forgive you for being careless. Well, hope you like boss fights because there are a lot of them. 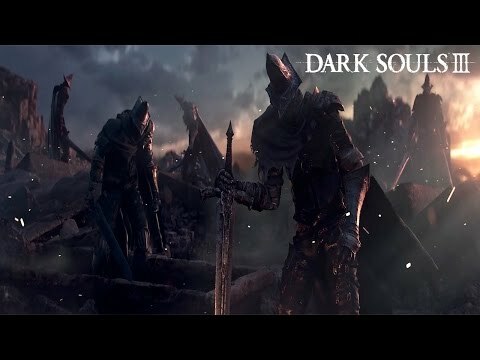 For those of you that don’t know about Dark Souls, come closer and listen well. Dark souls is a dark action RPG played in third-person. You, the player can equip your character with a variety of skills and weapons to defeat your enemies. Dark Souls 3 isn’t strictly open world, but rather large areas that the player can explore. You can outfit yourself with all types of badass armor and weaponry. Or you could even just equip double claws with no helmet or chest armor. Tadaa! You are now wolverine, now go fight some reanimated corpses. The key element to all Dark Souls games is death (fun, right?). When a player dies in a dark souls game, they receive the humiliating message in full caps lock on the screen ‘YOU DIED’. 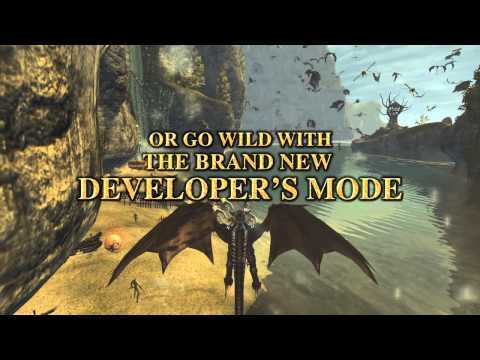 After which, you respawn at the last bonfire that you rested at. Here’s the catch, you lose all acquired souls and humanity, and human players revert into a ‘hollow’ form. So, don’t die. The combat system is deliberate, brutal and satisfying and there are just so many weapons to choose from. Your character, pounding enemies into the ground, dancing around, spinning their blades, being a whirlwind of death. Be careful though, enemies are slightly smarter. 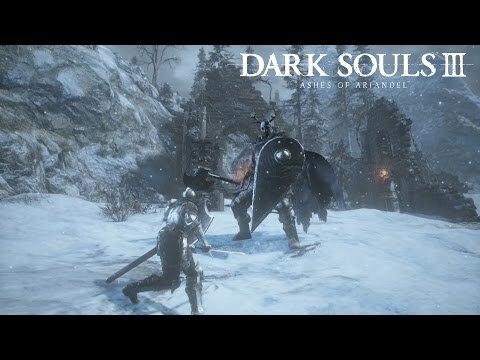 While it's not uncommon for an enemy to be just out of your line of sight, enemies in Dark Souls 3 will purposefully hide around corners and wait to ambush the player who has entered the vicinity. This means that you should always look around the room before continuing. Dark Souls 3 has been acclaimed to be a fitting and entirely worthy conclusion to the Dark Souls trilogy. It’s even become Bandai Namco’s fastest selling game in their history, selling over 3 million copies globally after just 2 months of its release. Do you like beautiful colors? Do you like charming environments solid Turn-based combat? Then Divinity: Original Sin is the perfect game for you. Armed to the teeth with your Source Hunting skills, take control of 2 customizable characters and immerse yourself in a beautiful fantasy world. Your Source Hunters’ goal is to find practitioners of the dangerous magic ‘Source’ known as Sourcerers. The world of Divinity: Original sin is beautiful and well made. Vibrant colors rush out at you in every area. There are pretty effects during all the combat animations, an almost endless array of possible items to create in your inventory. These being items ranging from weapons and potions to magic starfish. Original sin is filled with memorable characters and interesting writing, this is a game that doesn’t take itself too seriously. In your playthrough, you will find lots of quirky dialogues and fantastical situations. Such as a wishing well that teleports you to another dimension in the hopes that you’ll find its’ twin brother. The game boasts a slick turn-based combat system, cooperative multiplayer, and a highly interactive world. Interactive in the way that you can destroy many things, use others and even combine spells with the environment. For example, a puddle on the ground can channel electricity spells. 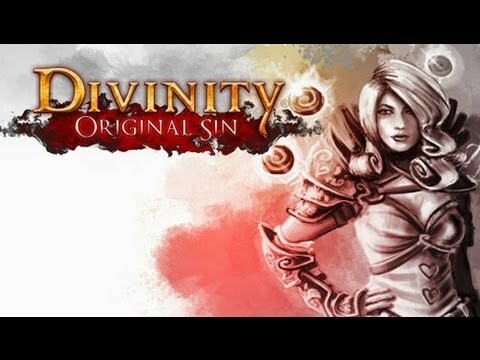 Divinity: Original Sin is definitely a good option if you want a great RPG experience but want to keep it fun and quirky. Fantasy, Dragons, and Third Person Epicness. Divinity II removed the birds-eye-view camera system that they implemented in Divinity and pushed forward with a 3rd person perspective gameplay experience. However, they didn’t stop there. Ever wanted to crush your enemies while flying gloriously on the back of a roaring dragon? Well, Divinity II has some news for you. 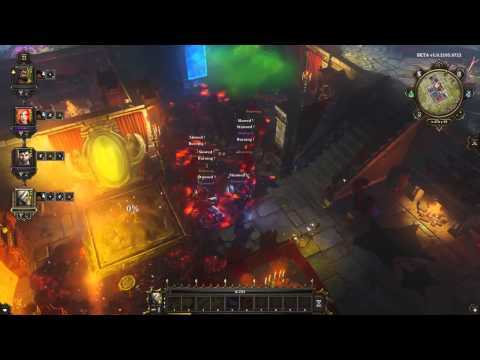 Divinity II’s gameplay is focused on the traditional 3rd person RPG play style, similar to World of Warcraft. You start off as a Dragon Slayer at the end of your training and you get draconic powers as a measure to help you defeat the last remaining dragons. The Developer’s cut version of the game sneakily lets you have a cheats menu by pressing F11. The cheats menu lets you give yourself any skills you want, teleport anywhere, level up, give yourself any items (including some that weren’t even in the original game) and even turn into a dragon wherever and whenever you want. There are tons of more cheats to fool around with. Oh, and you can shape-shift, Into anything. Some of these being dragons, monsters, giant insects and other fantastical creatures. Divinity II’s world is pretty enough and has lots of nice visuals to look at. The spells and combat are done well and it’s a lot of fun. Kenshi is quite a different type of RPG to what you’re probably used to. Or different to any type of game at that. Kenshi is a fully open world squad-based RPG. Kenshi, to a lot of players, has been a bit of a strange experience. That’s because it’s a game where it’s almost entirely open-ended. Players can do literally anything they want and not necessarily follow any type of linear storyline. It’s quite literally a sandbox game. Kenshi is set in a giant desert, with an almost ‘Mad Max’ kind of feel to it, just minus the cars. The player is a samurai survivor/scavenger and can completely explore the expansive desert, visit towns, kill creatures and gather items. There are a variety of items you can find, which can help with crafting and survival. For example, Water, food and resources. In the towns, there are NPC’s with which you can trade or hire, you can visit bars and Inns and the like. Quite an interesting feature of the game is the player damage system. A player can take damage, and realistically take a long time to get back to full health. Not only that. While healing, your individual limbs won't function as well as they heal from the damage they took. Much like the recent Fallout 4 damage system. Overall Kenshi is an interesting experience with lots of potential, so give it a try. 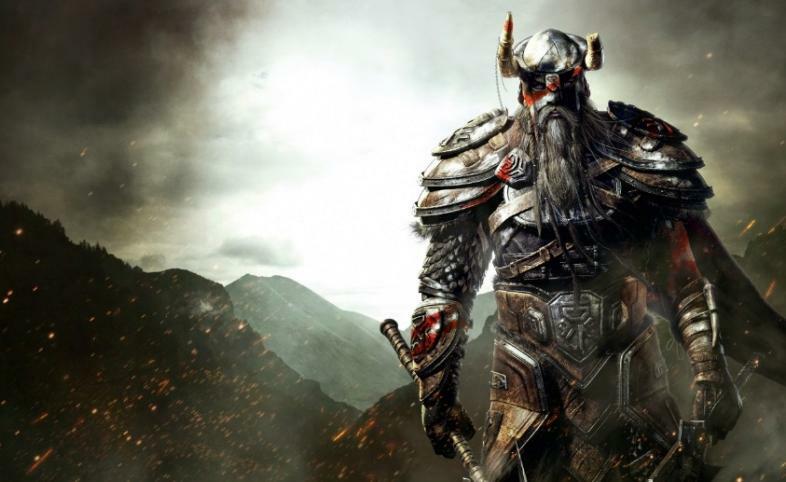 Grab your warhammer, grab your axe, and get ready for some fantastic Single-Player glory. Kingdoms of Amalur: Reckoning is one of the best Single Player RPGs ever made, winning awards left, right and center. Take control of your fully customizable character, the Fateless One, as you delve into the world of Amalur in the Faelands. In the beginning of the game, your dead body is dumped into a pit, followed by your resurrection. However after you’re revived, you have no memory or recollection of how you died. It is your mission to find out what happened to you, what led to your death and who killed you. The combat system is incredibly well put together and satisfying, a beautiful blend of physical attacks and magic spells. You can combine your blades with magic and poisons to decimate your enemies as well. In choosing your personal character, you get four playable races, two genders, and three class trees with 22 abilities per tree! A really nice feature is that the player begins the game in a ‘blank’ state, not having to choose a class immediately. There is an almost endless array of weapons and items to suit up your character with, ranging from hammers, axes, swords, greatswords, daggers, and even chakrams. Better yet, you can dual wield most of those weapons as well. 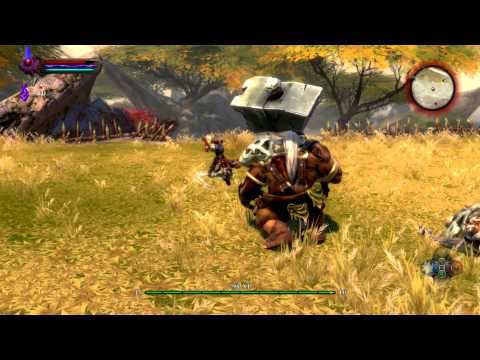 Kingdoms Of Amalur isn’t open world, however, it has 5 large distinct regions to explore, each region filled with collectibles, enemies to fight, things to break and NPCs to interact with. Overall it’s a highly recommended well-rounded RPG, with the combat aspect of it being a main element to its’ immense playability. The story is interesting and not too confusing, but really you just want to go to the next area to bash some heads and slit some throats. This physics-based dungeon crawler is an incredibly interesting game. A physics-based game puts a lot of emphasis on making the experience realistic. Gravity and weight are noticeably present in most aspects of the game. The physics are attached to nearly every object in the game, even brushing gently up against a rubbish bin could make it move and topple over. In terms of story, it’s a little bit confusing, as you as the player have to go through multiple rooms and fight multiple enemies to find clues about yourself. It is your job to find information on your past and how you ended up in the dark and twisted situation that you’ve found yourself in. 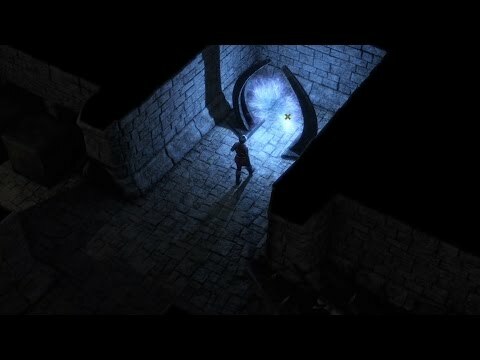 Your character is deep underground in a dungeon maze for the duration of the game, so if you like a realistic game that gives you a real sense of atmosphere and immersion, with a dark storyline , then this is the game for you. 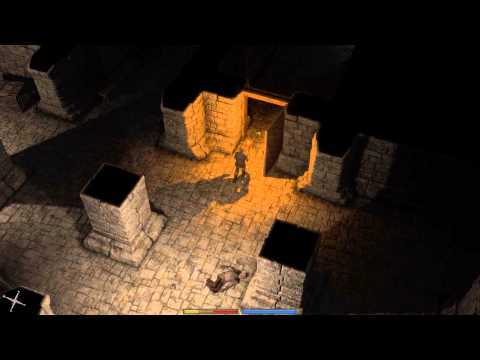 Exanima, as I mentioned before, is a physics-based dungeon crawler. This means that you have to pay close attention to everything you’re doing. You can move individual objects with your mouse, lift lids off of bins, move debris out of doorways and more. A really cool feature of this game is that the combat system is also physics-based. This means that the power and direction of your weapon swings are dictated by the speed and direction that you move your mouse. This makes the combat seem deliberate and slow in a very realistic way. It really shows what a sword swing would look like in real life. Also the type of weapon (2 handed or one handed) along with its weight also influences the power of your swings, making fighting a very interesting thing. However admittedly, when fighting you might feel like you’re playing “Medieval Drunk fighting simulator 2016”. If you like spooky, dark dungeon crawlers, then you should give this game a try. Ahoy mateys! There’s plunder to be had! Ever wanted to be a pirate and mess up everyone elses’ day? Then you definitely need to play Windward. Windward is an action based Sea-battle type RPG, wherein you are given a ship to patrol the gloriously beautiful procedurally generated world. Being a fully procedurally generated co-op game, Windward has such great multiplayer value. The seemingly endless islands and oceans make It so much fun to play with friends, plundering villages, destroying other ships and collecting items and upgrading your own. Windward, however, does have its own single player mode, and it’s loads of fun. Towns will ask for your assistance and you can help them, restore their economy and extract resources from them. As you travel further and further away from your starting sea, other pirate ships will attempt to take over your captured locations. You can go back and sort them out good and proper. If you feel like exploring a never-ending ocean on your own badass ship, then you should absolutely check out Windward. You’ll find yourself saying things like this to your screen in this heavily fictionalized version of the American Old West. Hard West is about your character suffering a tragic incident. This sets him down a path of chaos and revenge (powered by well implemented supernatural elements). If you have played any of the XCOM games, you will notice quite a few gameplay similarities. Hard West is in the same way, a turn-based tactical combat game, with an exploration map mode as well. 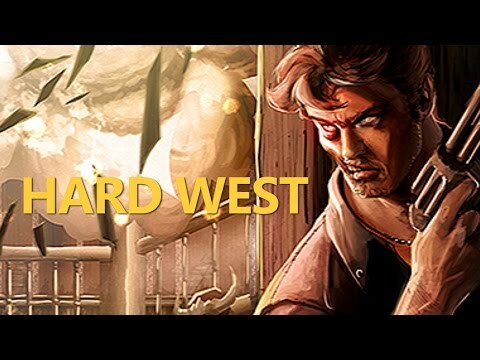 Much like XCOM, the tactical gameplay of Hard West has a player starting each turn with 2 action points which can be spent on either a move or shot each. However normally firing a weapon instantly finishes the current players’ turn. The combat system is tense and gripping and incredibly satisfying when you emerge victorious. The game features 8 unique story-based missions/ scenarios and also has more than 40 individually designed combat based missions with a squad of 1-4 combatants. Players can use their tactical prowess to overcome their enemies, using the environment for cover and pushing forward.